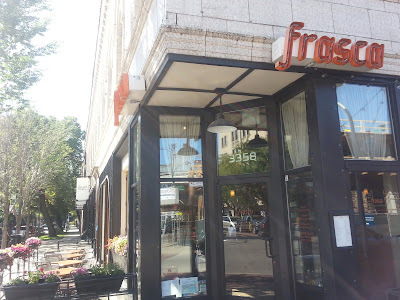 I criss-cross my old neighborhood at Lincoln/ Ashland/ Belmont often by bike (above), train or car while doing business or running errands. The area is experiencing another round of development. The new development at 3400 North Lincoln Avenue adjacent to the Paulina CTA Brown Line stop is going up quickly. 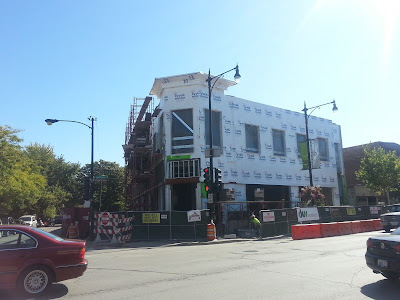 The 36 unit mixed use rental apartment building is located at the ever developing strip of North Center/ West Lakeview retail and housing. The busy area was still a little gritty when on lived on West Roscoe Street in the late 90s. Now it's home to new apartments, condos and mega retail (a new "fabulous" Whole Foods flagship included). 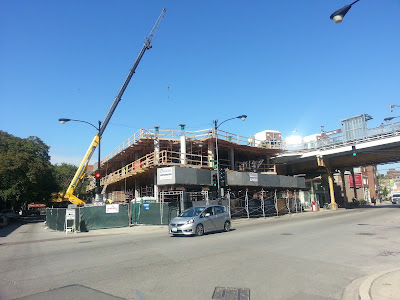 Fancy new two-story retail takes shape across the street at 3361 N Lincoln Avenue, Chicago IL 60647 on the southeast corner of Lincoln and Roscoe. 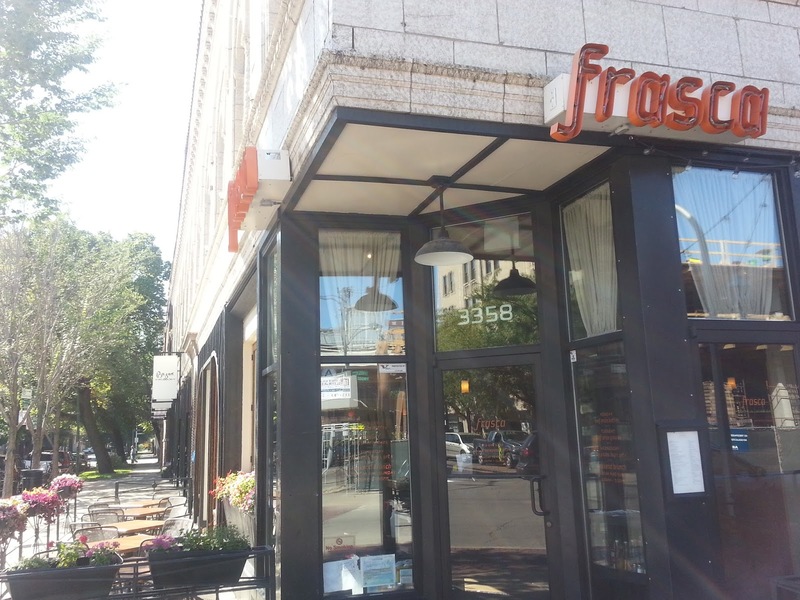 Long time staple Frasca will have new regulars living across the street. 5 units have sold over the past 12 months 3200 N Lincoln Ave to 3600 N Lincoln Ave near the new developments. The median price is about $435,000.